I had to buy some switches recently and needed to gather a second quote from another vendor. I went to the Dell website and was pleasantly surprised to quickly find a clear price and a buy-now button for each device on their website. Normally you’d need an account of the vendors portal to get this information, so it is refreshing to have straightforward access to clear hardware pricing. 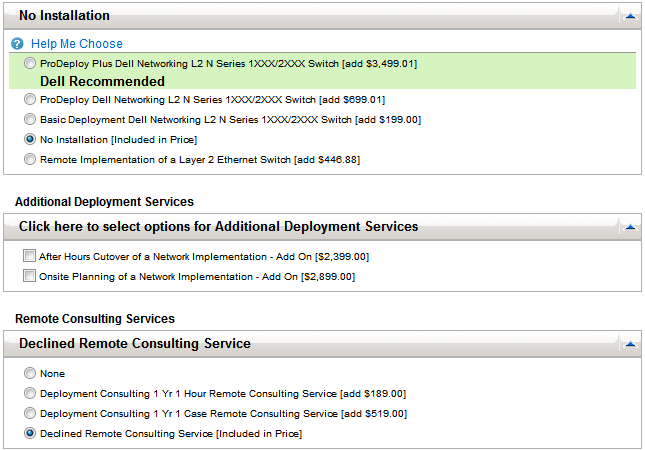 However it was the list of professional services options shown in the attached image that caught my eye.